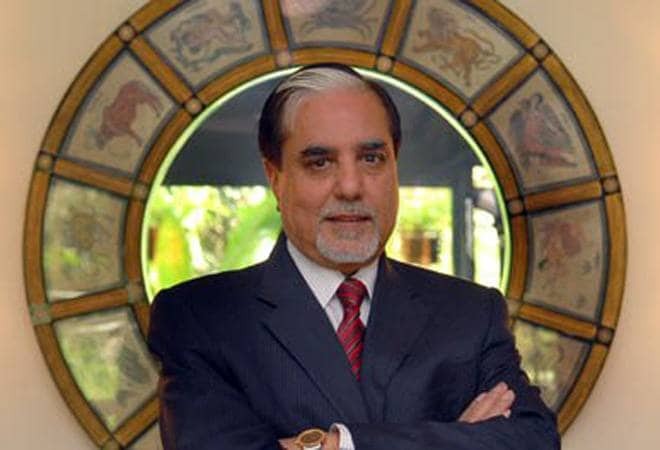 Zee and Essel Group Chairman Subhash Chandra apologised for the stock crash and said that for the first time in his career of 52 years, he has been compelled to do so. Zee and Essel Group Chairman Subhash Chandra apologised for the stock crash and said that for the first time in his career of 52 years, he has been compelled to do so and that he has not lived up to the expectations of the bankers. He added that while he accepts his mistakes, "there are some forces which are not willing to see us succeed". Chandra added that he is not "running away" and will repay each and every person. Chandra then listed the key points that went wrong. He said that despite the loss-making projects of Essel Infra companies, he continued to pay the interest and the principle. Buying D2H from Videocon was another error, he said. He further added: "The IL&FS meltdown stopped the rollovers, diminishing our ability to service our borrowings." He further added that while there mistakes from their end, there were other factors as well. At a very early stage of my life, I have learnt the most important lesson from my grandfather, Shri Jagannath Goenka, which taught me that a direct dialogue with the creditors should be maintained, should you find it difficult to repay any sort of loans, and this message is my earnest effort in doing so. First and foremost, vide this message I would like to express my deepest apologies to our esteemed financial supporters. I have always been the first to accept my faults and we have been consistently accountable for the decisions taken, and I will maintain the same today as well. For the first time in my career of 52 years, I am compelled to apologize to our bankers, NBFCs & Mutual Funds, since I believe that I have not lived up to their expectations, despite the best of my intentions. I am extremely certain that there is no promoter in India Inc., who has dared to sell the jewel of his crown, to pay off the liabilities. While the process is still ongoing, there are some forces which are not willing to see us succeed. That said, I am not indicating that there are no mistakes done from my end, and as always, I am willing to face the consequences of the same. I assure you, that I am not running away from the core issue and will do my best to repay each and every person. The best time for the same, however, is difficult to be mentioned at this stage. 1. Essel Infra: As most of the infra companies, even we have made some incorrect bids. In usual cases, Infra raised their hands and have left their lenders with non-performing assets, but in our case, My Obsession of not walking away from the situation has made me bleed 4000 crore to 5000 crore of Rupees. Despite the loss-making projects, we continued to pay and the principle, by borrowing funds against our shareholdings in Listed Companies. 2. Acquisition of D2H: My recommendation made to my brother Jawahar Goel to buy D2H from Videocon was one more key error, which cost me and Jawahar both, a fortune. 4. The situation at hand became further unmanageable after the IL&FS issue, came to public light. Till then, we were managing our borrowings efficiently. The IL&FS meltdown stopped the rollovers, diminishing our ability to service our borrowings. 5. From May / June 2018 acting against our grip as promoters became strongly active. This was followed by some anonymous letters being sent to all Bankers, NBFCs, Mutual Funds, Shareholders, etc. 6. Whenever we have reported some really good results from the operating Companies, they were intentionally hammered negative forces, driving away the investors. We wrote a number of complaints to the Department of Police, Home Minister of Maharashtra, SEBI and other concerned authorities, right since November 2018, but all the efforts did not result in any action. Till December, we continued to pay the due interest and principle, to all lenders. I have also given my best to expedite the stake sale of ZEE Entertainment. In fact, I returned back from London, last night itself, a series of positive meetings with potential suitors. The mentioned negative forces, possibly after getting a hint of these positive meetings, the share price today, with a clear intention of sabotaging ZEE Entertainment's strategic sale process. I must also mention that there is no systematic protection against the insidious attack on us by the mentioned negative forces, will continue to seek the support of the order to thoroughly investigate the matter. All Operating Companies, especially our most precious one which is ZEE Entertainment, are performing exceptionally well and are under NO stress whatsoever. The debt burden is purely at the promoter level, which is reflecting negatively on the Companies. I would like to reiterate that ALL the Companies are performing exceptionally well and there is no problem whatsoever. Having said the above, I still believe, strongly feel and would like to urge the lenders, not to react in an anarchical manner and to maintain patience, till the process of ZEE Entertainment's stake sale is completed. Post the sale process, we will be positively able to repay the entire dues, but if the lenders react in a panic situation, it will only hurt them and us. I would again like to reiterate that I have no intention whatsoever, to keep a single rupee, till all the dues to the lenders are paid.